From the moment we approached this Early Christian site we knew it was very special. 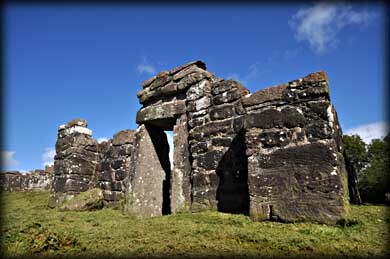 Adjacent to the field with the church and graveyard are four megalithic standing stones. 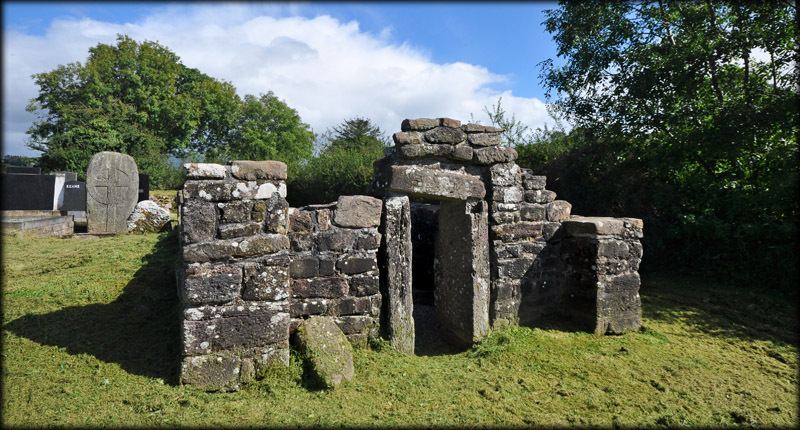 It has been surmised by the arrangement of these stones that it may have originally been a stone circle or avenue, and the missing stones were used in construction of the doorway of the small oratory. St Molaga found a church here in the 7th century and the oratory, which is probably 9th/10th century, was built as a tomb shrine to the founder. Inside the church is a limestone slab decorated with a carved volute. 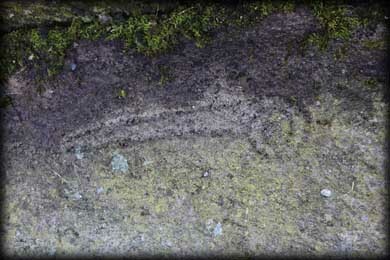 The slab is believed to mark the saints grave. It is known as Leaba Molaige - Molaige's Bed. 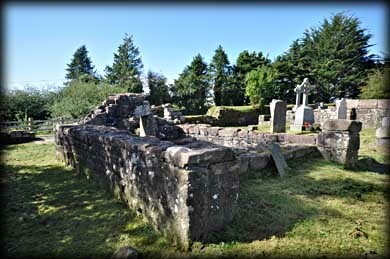 In the centre of the graveyard, towards the rear of the oratory is an upright cross slab. 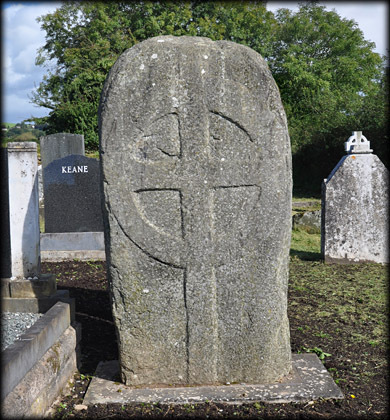 The slab bears a ringed cross in low relief on the west face, pictured left, and a Latin cross on the east face. A number of rounded "cursing stones" were also found at the site, but may have been moved for protection. 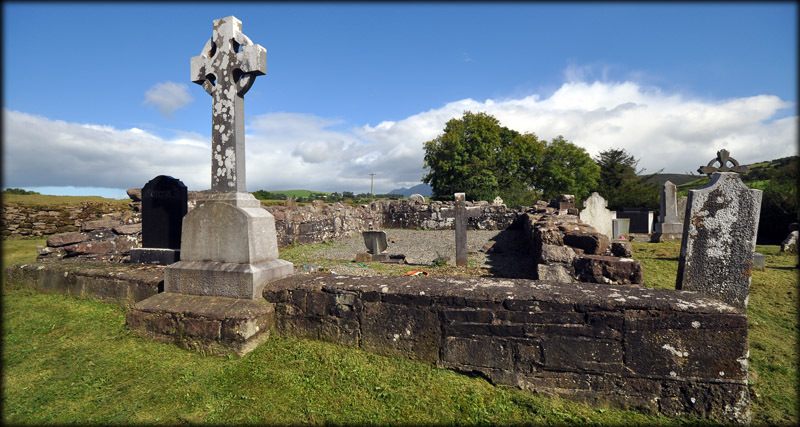 'St Fanchan's candlestick' found in the ruins at Labbamolaga was moved to the Presentation Convent in Mitchelstown. Situated: From Mitchestown take the R513 Northwest for 1.5 kilometres. Take a slight left onto the R517 and go 4.75 kilometres. Take a right at the bend. Labbamolaga is 1 kilometre down here on your right.